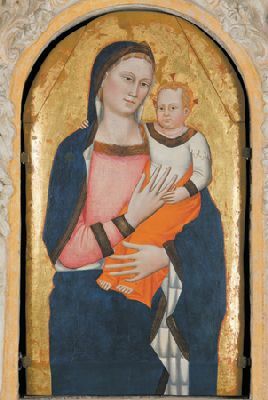 The Sant’Agata Collection of Sacred Art was inaugurated in the spring of 2000. Thus, it is a small and very new museum in one of the most eminent places for history and religious observance in the Mugello, the Parish Church of Sant’Agata. Inside the 16th century oratory of the Company of Saint James, the large room with a small sacristy have been organized to display works belonging to the parish church’s historical patrimony together with others that mainly come from other churches in the surrounding territory where their security and an adequate conservation could not be guaranteed. 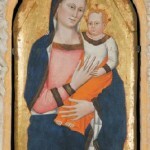 Some paintings that had been stored in Florence for a long time have been added. The Oratory where the collection is displayed is adjacent to the parish church, and visits to the two complement each other. The collection has recently been dedicated to Father Corrado Paoli, parish priest in Sant’Agata from1996 to 2006, whose memory is particularly cherished by the community of Sant’Agata. Simplicity and rigor were the characteristics of the Company of St. James. they also typify the interior of the oratory, a single, rectangular-shaped room covered with wooden trusses. The benches for the brothers who gathered there under the protection of the Virgin, portrayed in the 16th century painting set on the altar, are still along the walls. The collected works come from churches in the territory, including a large group of suffragan churches, belonging to the Sant’Agata parish. The exhibition begins to the right of the entrance with works from various periods and in various styles. They bring together both refined products purchased by learned prelates or by important families as well as more modest items that were the result of the country people’s devotion and faith. The heritage of a territory has been assembled here, a territory that remained homogeneous over time but was transfigured in the last decades of the 20th century following changes in its socio-economic conditions. These changes culminated in a depopulation of the countryside. 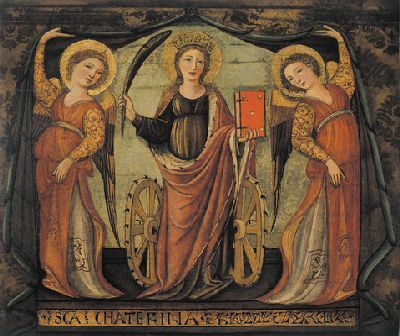 Thus, from the churches of Sant’Agata, deprived of their faithful, come testimonies of a community life that found its identity in its artistic heritage. 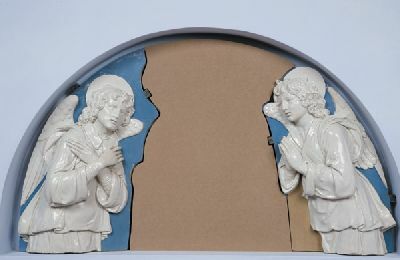 Gli angeli di Andrea della Robbia della Compagnia di Piazza. Nuove opere e restauri alla Raccolta di Arte Sacra di Sant’Agata a Scarperia. Teodori B., Brunori Cianti L., Scarperia, Editore: non disponibile, 2002. Brunori Cianti L., Firenze, Editore: Cooperativa Firenze 2000, 2000. Restauri antichi e moderni. Il polittico di Jacopo di Cione nella pieve di Sant’Agata in Mugello in “Antichità viva”, Brunori Cianti L., non disponibile, Editore: non disponibile, articolo di giornale, n. XXXVI, pagine: 13-17, 1997. 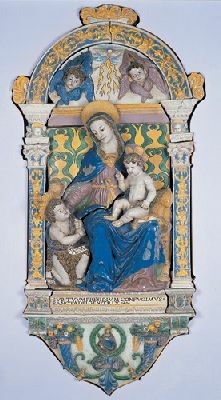 The two Angels by Andrea Della Robbia, flanking a now-lost Madonna with Child, come from a lunette found at the entrance to the seat of the Company of Piazza, which is in the town-centre. The lunette was stolen in 1913. 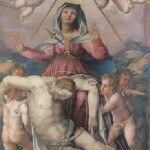 Shortly afterward, only the angels were recovered, and were taken to the Bargello National Museum. They remained there until 2002 when they were returned to their place of origin after having been restored. 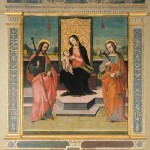 A distinguished example of the diffusion of 17th-century Florentine painting in the Mugello, it belongs to one of the leading figures in that period of painting, i.e. 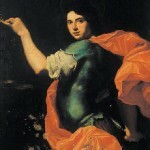 Jacopo Vignali who worked extensively for the main churches and palaces in the city. The Mugello painting is an excellent example of this master’s art as seen in the solidity of its compositional balance, the softness of its shapes, and the suffused and fascinating atmosphere of the whole, achieved with the use of warm and vibrant colors. Recently restored, the work is a typical provincial product that uses elements from the great Florentine figurative tradition of the second half of the 15thcentury, translating them into a simplified and naive style, with vivid colors, and able to express its message with immediacy. 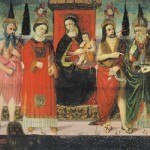 Found during the 19th century in a storeroom, this painting was the central panel of a now-lost polyptych. 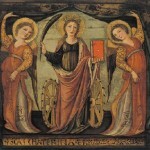 Fragments of five other panels from this polyptych have been incorporated into the altarpiece placed on the altar of Saint Agatha in the parish church. 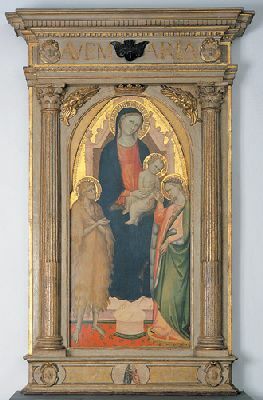 Attributed to Bicci di Lorenzo during the second phase of his career when signs of the Orcagna influence were tempered by the new gothic tendencies, the work is datable to the 1430s due to its similarities to the Perugia triptych. 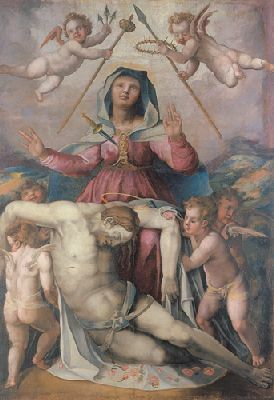 The subject of this panel from the Old Church of Sant’Andrea in Cerliano stems from the now-lost Pietà painted by Michelangelo for Vittoria Colonna around the mid-16th century. A drawing and some prints remain of the original work, the latter adding new iconographic elements to it, and numerous pictorial copies that, although varying the characteristics, reproduce its basic layout. This terracotta is from an antique aedicule-shaped tabernacle located in the parish church’s kitchen garden from where it was removed in 1913. 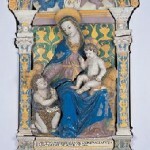 The terracotta displays the typical features of the late Della Robbia school as seen in the gaudy polychrome, the characteristic compositional arrangement, and the typology of the figures, as well as in the elaborate architectural frame. 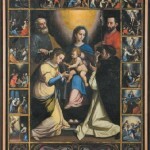 The altarpiece of the Company of St. James portrays the Madonna with Child flanked by the titular saints of the company and of the parish church, who are set in an open landscape that recalls the local rural context. The work was commissioned in 1514, a date that corresponds well with the painting’s stylistic features, recalling a late 15th-century classical arrangement but refreshed by a broad and solemn setting, typical of the early 16th-century Florentine classical style. further in evidence its considerable quality although the aesthetic part of the restoration has yet to be completed. 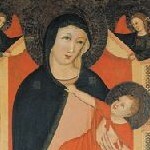 This has led to connecting it to the style of Lorenzo Lippi. 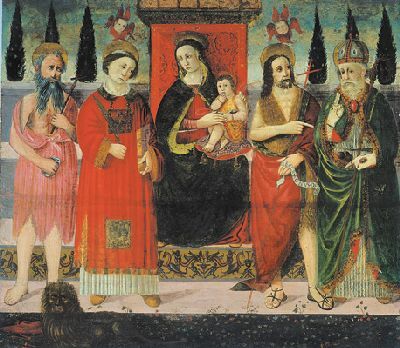 The painting was strongly influenced by Francesco Furini’s style from which Lippi drew the detail of the coloristic impetus of the flaming red mantle and the intensely animated face. 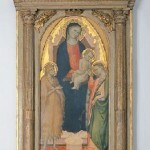 The antique polyptych of the Parish Church of Sant’Agata, attributed to Jacopo di Cione and datable to1383, was found originally on the main altar of the parish church. It was dismantled and the central panel portraying the Madonna and Child was placed in the apsidal chapel on the right as it was the object of intense worship by the faithful who invoked with their prayers her protection. Signed and dated, this painting represents the only known work by this artist, the mysterious Nicholaus. No other works by him have been identified yet. The stylistic features of this master are quite special as he unites a softer and more expressive line to the Florentine figurative tradition, showing possible Sienese influences. 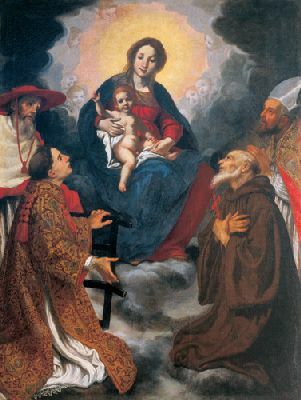 The painting, inside the Parish Church of Sant’Agata, dates back to the early 17th century and is among those commissioned by the parish priest Nozzolini to the well-known workshop of Cristofano Allori. 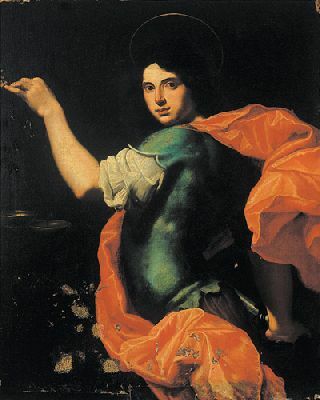 It is among the few clearly identified works in Italy by Simone Sacchettini, one of Allori’s students. 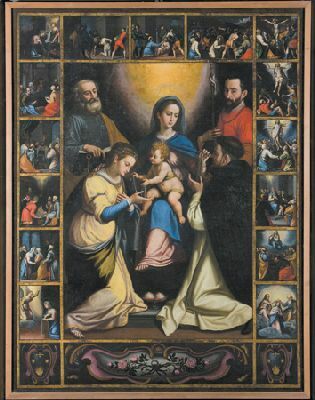 The work is attributed to the Master of Signa, an anonymous artist for whom the name of Antonio di Maso has recently been advanced. 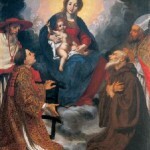 He is the only disciple of Bicci di Lorenzo who has no works connected to his name. This master was very successful in the province that was still tied to a late Gothic taste, which was elegant and pleasant even if at times repetitive. For general information and to book group visits: filippobellandi@tiscali.it – 055.8406853. 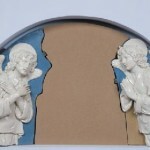 For specific information on the Collection of Sacred Art: Lia Brunori: brunorilia@virgilio.it. Sundays and holidays: 3 p.m.-6 p.m. winter time, 4 p.m.-7 p.m. summer time.